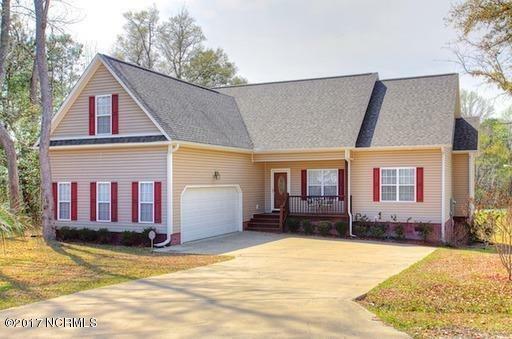 Beautiful 3 bedroom 2 bath home nestled on a beautifully landscaped 0.47 acre lot in the desirable water front community of New River Plantation. The home features hardwood flooring in the main living area, vaulted ceilings and a gas fireplace in the living room with sliding glass doors that lead out to a private screened porch. 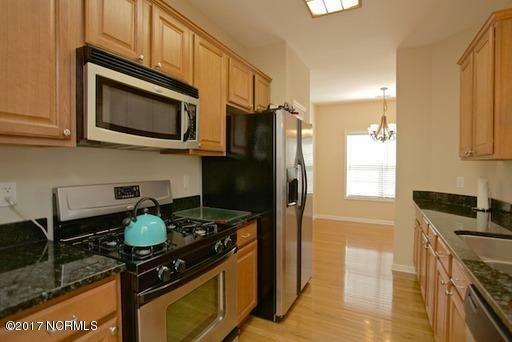 The modern galley kitchen includes gorgeous granite countertops and stainless appliances. Spacious master suite with tray ceiling offers a whirlpool tub, shower and double vanity. 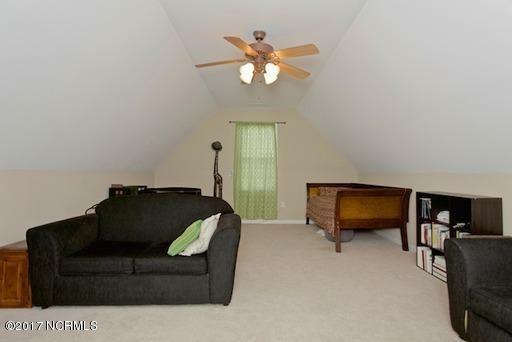 Bonus room on the second level. Large storage shed, security system and attic fan as well. Community amenities include deeded water access dock/pier. 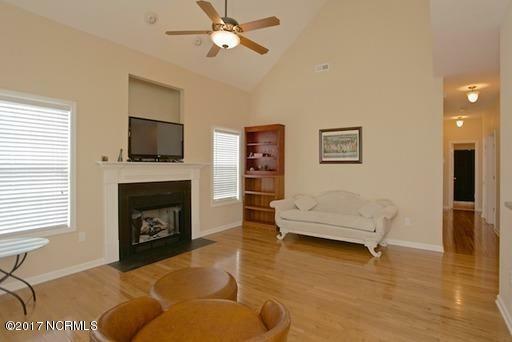 Listing provided courtesy of Lori K Smith of Coldwell Banker Sea Coast Advantage -Sneads Ferry.